Great article at Black Gate by Joe Bonadonna and David C. Smith (one of the stars of the S&S boom of the seventies). 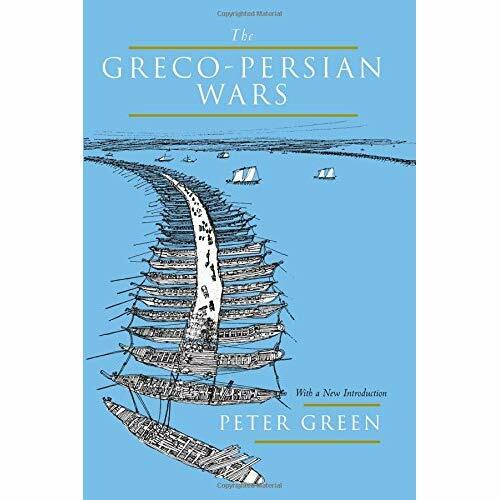 Called "The Big Barbarian Theory" it provides a history of the rise of the "solo barbarian" style of story, the malign influence of Carter and De Camp. It also gives a good account of the fall and rebirth of the genre. Good stuff. I meant to review this way back last summer when I bought it. Something made me think I'd actually read it in a couple of days and then write about it. Because of my usual laziness it didn't happen. I blew through two thirds of the book, then stopped. Which meant I missed out on some of an excellent anthology's best stories for seven months. Ah, the price of sloth. One of the inspirations for this site was the death of Dale Rippke's awesome "Heroes of Dark Fantasy" site. Through it I discovered Charles Saunders and David Gemmell (for which I am eternally grateful) and decided to finally give John Jakes a chance (for which I am, well, ... whatever). 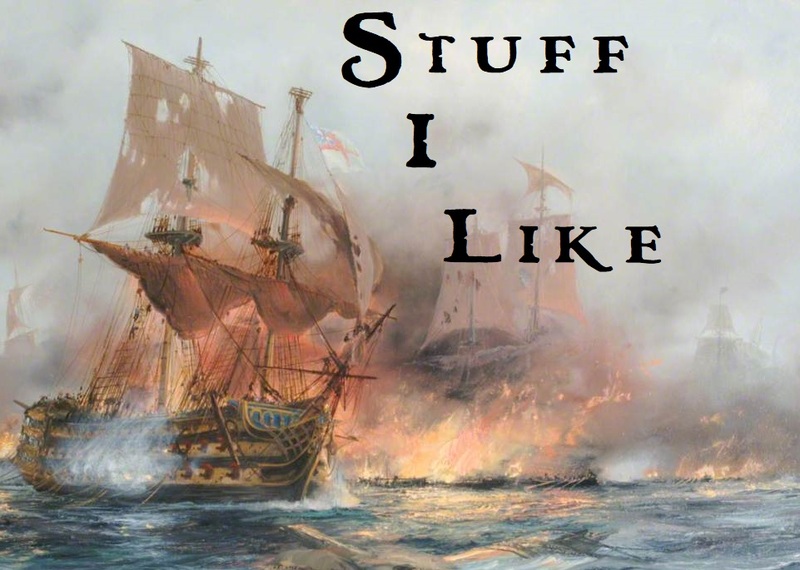 When it went offline I wanted to replicate it or inspire folks to go out rediscover the behemoths of swords & sorcery. Something, anything. Eventually my thoughts stopped jumping around I made some choices and this site was born. One of the first things I did was to start building up the S&S section of my library. Getting my hands on all those Lin Carter "Flashing Swords!" and Andrew Offutt "Swords Against Darkness" anthologies was the first big step to immersing myself into the depths and history of the genre. Reading Ryre and Kardios for the first time made the money spent on those books worth it. The next step was seeing what was going on out in the modern world. I'd already been reading some of the abundance of epic fantasy that veered close to swords & sorcery by folks like Steven Erikson but it tended to come in great honking big doorstopper books. I wanted to know if there was something that had the short, sharp shock of the best of the pulp era or the 60's and 70's. It took me time but I found out about places like Black Gate that were promoting just that sort of thing. A review there led me straight to Jason M. Waltz and Rogue Blades. "Return of the Sword" was released in October, 2010, and I know I'm late in writing about it, but here goes. First off, it's at least an equal to any of the Carter's or Offutt's collections. Filled mostly with newish authors rather than long time genre fixtures it's more like the latter series. Waltz' introductory essay provides an interesting take on why we need and seek out tales of the heroic. His tastes as an editor are broad and he selected a stories from across the spectrum of S&S. We get ferocious barbarians, brave champions, wily thieves and many others. There're tales of violence, clever thinking and humor both broad and sly. The rest all had their interesting points. "Mountain Scarab" by Jeff Stewart and "Lair of the Cherufe" by Angeline Hawkes are both solid adventures tales. "Altar of the Moon" by Stacey Berg provides an interesting look at what happens after the hero's saved the kingdom. 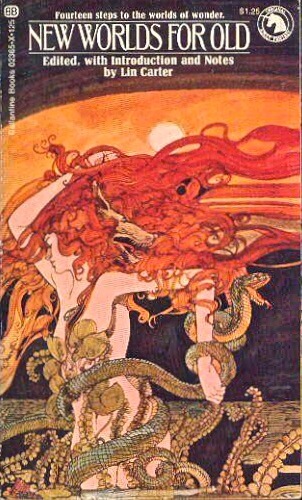 The only story's inclusion I had an issue with was "The Dawn Tree" by S. C. Bryce. It's not really S&S and there's a little too much of a D&D vibe to it for my tastes. Still, I plan to reread it and give it another go. There's just a lot of well written, great additions to the genre in this book there's no reason not to check it out. Other than James Enge this was my first exposure to these authors. I would check out any story by any of them based on what I've found in "Return of the Sword". At five bucks as a digital download there's no reason no to have this book. If this is the state of S&S right now, from an artistic perspective if not a commercial one (and I say that only because I just don't know anything about that), it's damn exciting. 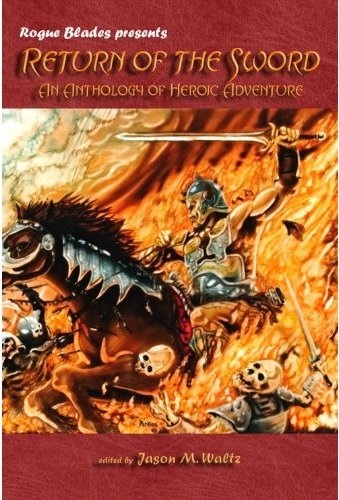 NOTE: Dale Rippke's "Heroes of Dark Fantasy" might be gone but it lives in the Wayback Machine. Also, he's got a new blog called "The Darkstorm Files" where he's republishing parts of the HoDF and other essays. Highly recommended. 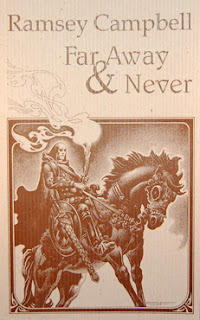 Just been informed that Necronomicon Press is back in operation (I didn't even know it was down) and "Far Away & Never", the collected S&S tales of Ramsey Campbell are available. The book, incredibly reasonably priced at under $7, contains all four Ryre stories (which I wrote about previously), Campbell's part of the "Genseric's Fifth-Born Son" and three other genre related tales. I guess I'll have to get a copy now. Didn't mean to hit post on that and didn't think I did. Only meant to save it. Should actually have that done tomorrow - for real. Labels: bad post, embarrassing, really? For those of you not in the know, I'm not much of a web manipulator. I use canned backgrounds and a pretty crappy picture with text edited in Paint. What that translates to is I'm always looking at ways for to clean this place up and improve it, albeit with my limited abilities. Today I'm adding a separate list of magazine links. I was prompted by learning about the existence of "Swords and Sorcery Magazine" at "Adventures Fantastic". I guess if I want people to keep writing this stuff I should do as much as I can to publicize the folks willing to make it available. If you know of any other sites printing original content and you think they're worth a look, please let me know. Thanks in advance. According to Lin Carter in the notes of his "New Worlds for Old" anthology, after C. L. Moore, the next author to pick up the fallen torch of Robert E. Howard was Clifford Ball. There's little biographical information available (well, that I could find) about him other than that he was (maybe) born in 1896 and died (probably) in 1947. 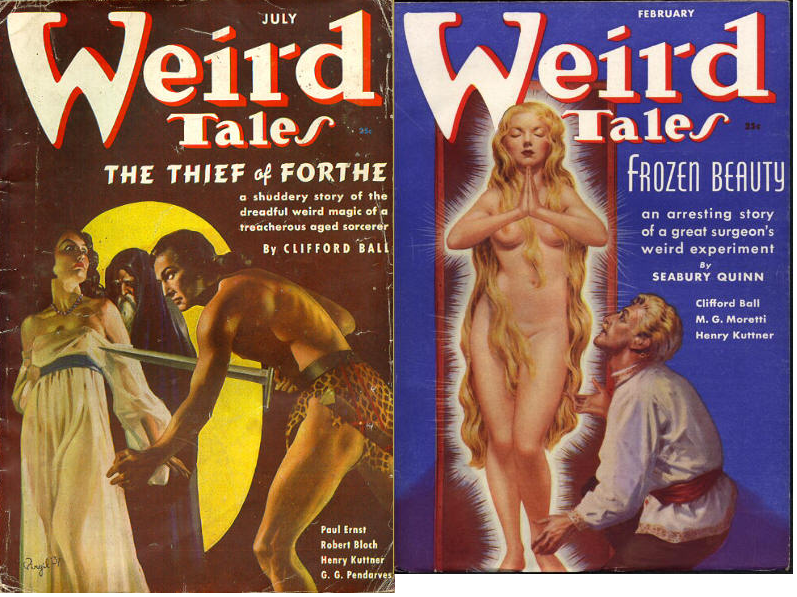 For four and half years he wrote six stories, all printed in Weird Tales. In his "Literary Swordsmen and Sorcerers", Sprague de Camp (recently reviewed by Brian Murphy over at The Silver Key) accords a few notes and eight short paragraphs to the three swords and sorcery stories Ball wrote. So far I've only been able to get a copy of the first story, "Duar the Accursed". It was first printed in Weird Tales - May 1937 and then reprinted in Carter's "New worlds for Old". It's a fun, very, very Howardesque tale, but with some interesting ideas that might have been developed into something interesting had Ball not stopped writing. We meet Duar, known as the Accursed, when he is brought before Queen Nione of Ygoth, a prisoner captured following his killing of three of her subjects. The description of Duar will sound familiar to any fan of Conan; "the height of the mountain men, ... the black hair of the cavemen, the blue eyes... the swift strength of the dwellers of the plains". He's also been an adventurer, a mercenary and pirate and a king. Nothing in the basic description of Duar is particularly original or non-Conanesque. However, and it's a substantial however, Duar has a cloaked and mysterious past. He has no recollection of any events in his life before awakening on the field of Sate in the service of King Taerus. Since then his adventures, merely his "roving inclinations" have led him from one adventurous undertaking to the next. During his life he's been shadowed by dark portents such as a great raven that flies above his pirate galley and earthquakes and hurricanes that level his kingdom. Duar is a not a bold and haughty man. Despite being offered safe passage from Ygoth in exchange for a promise of a peaceful exit, Duar stands his ground and refuses. In return for his recalcitrance he ends up imprisoned in the lightles dungeons of the Pits of Ygoth. It's there we learn something of Duar's mysterious background. In the distant unrecallable past, Duar was the high priest of the "God of Gods, the Ancient One". It's also revealed that Duar is not merely passing through Ygoth. He's been drawn to Nione's kingdom to steal the Rose of Gaon, "a jewel magnificent in size and beauty", from the Black Tower. The tower, while housing the gem, also serves as the place of punishment for citizens guilty of crimes too horrendous to allow for a clean death. They are marched in and left to powers unknown for the execution of their sentences. Needless to say, though by unexpected means, Duar manages to escape his imprisonment and makes for the Rose of Gaon, by way of a detour to the Queen's bedchamber. I liked the story. 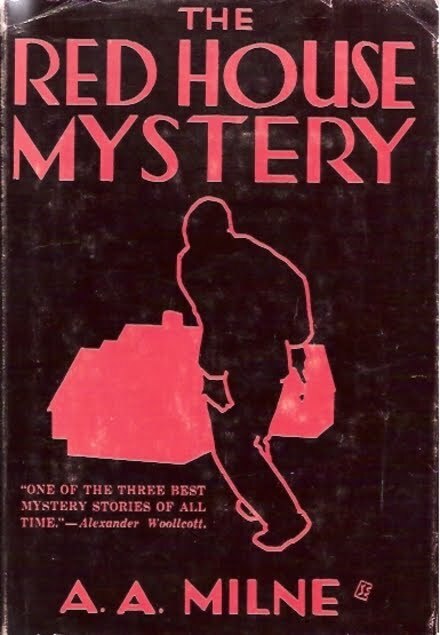 The writing is straightforward and the plotting is tighter than Kuttner's Elak stories. While he doesn't really rise above being a fairly straightup Conan clone, Duar's background is tantalizingly dark and mysterious. It's a great high concept setup that left me curious about what Ball would do with it next. Unfortunately, according to to de Camp, Ball's other two S&S tales, "The Thief of Forthe" and "The Goddess Awakes" , drop the character and focus on other things. The story isn't great, or important, but it's a taste of of how the genre started to crystallize in the wake of Howard's death. 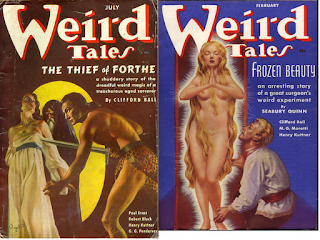 C. L. Moore and Clark Ashton Smith forged their own trails in the genre. Clifford Ball was guided by Howard's lamp and did a credible job in his first go at crafting an intriguing tale of heroic adventure. That being said, I still would like to check them out at some point. I'm trying to learn as much of this genre's roots as I can get my hands on. 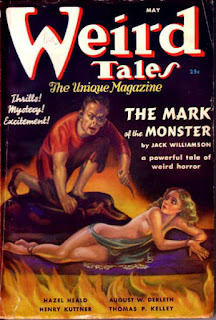 After their original appearances in Weird Tales, the first managed a reprint in "Savage Heroes", ed. 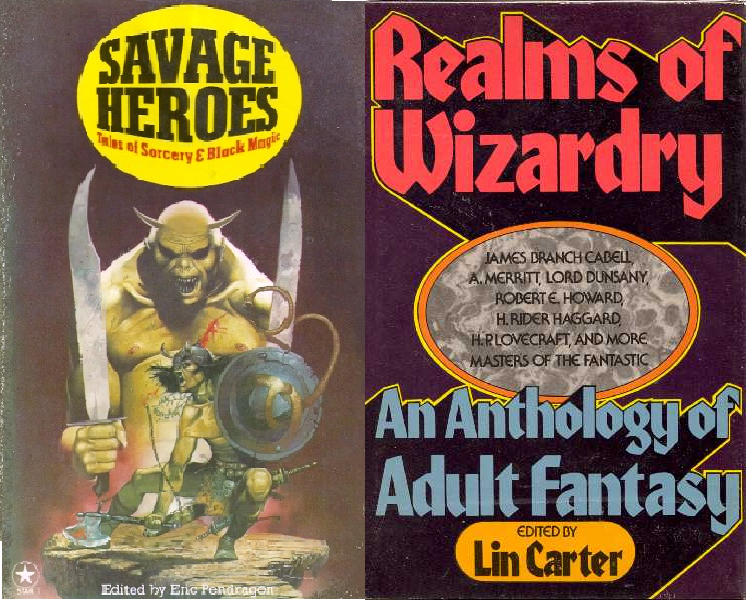 Eric Pendragon and the second saw the light of reprint day in yet one more Lin Carter anthology, "Realms of Wizardry". Since the former doesn't have anything I don't have in at least one other book I don't see buying anytime soon. 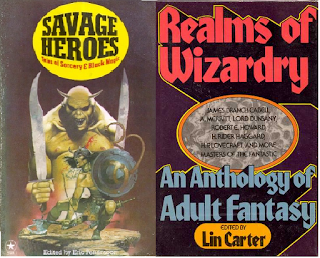 The latter, a typical agglomeration of new and old or obscure fantasy tales, has intros to all of them by Carter which means at least a decent trove of information. Which means I'll probably spring for it on Amazon (about nine -fifty bucks with shipping). So, while tooling around the interweb I came across something that actually would have made me do a spit take if I had actually been drinking. 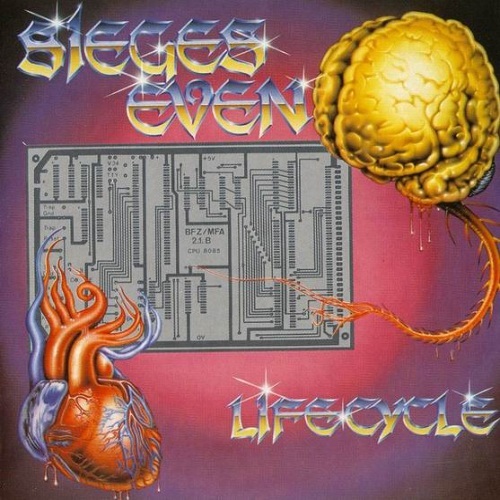 Apparently, 1980's Germany harbored a prog metal (a genre I gladly admit to digging very much) band known as Sieges Even (which Babelfish tells me means something like "Victory Even"). They must have gotten their mitts onto copies of Swords Against Darkness because they committed a song called "Straggler from Atlantis" to vinyl. The record containing this might 12 minute plus concoction of high pitched vocals, machine gun drum rolls and rapid time changes is called "Life Cycle". For a look at the lyrics and to hear the song in its entirety just follow this link. It pretty much retells all of the story, and what, with the music and all, you might not even feel the need to get you own copy of it anymore once you've played this.